My name is Morne Meyer. 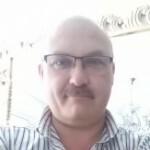 I am a 47 year old History teacher from Port Elizabeth, South Africa. Avid modeler since age 10. Very interested in aviation from WW II , Cold War, Korean War, Vietnam war to present. Mainly building US Navy and USAF aircraft in 1/48 scale. Favourite aircraft: A 1 Skyraider, P 38, P 47, P 51, P 61, Century Series, SAC bombers and ALL US Navy jets! GO NAVY!!! Member of IPMS South Africa. Unfortunately this category did not have many entries, which is sad since it is definitely one of the most colourful and eye catching categories. These are some of my favourites from the South African Nats. Enjoy!